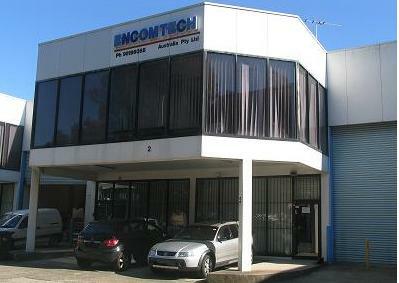 ECIFICATIONS: •Contact image sensor (scanning width x scanning length): ◦300dpi - 21cm x (up to) 127cm. ◦600dpi - 21cm x 63cm. 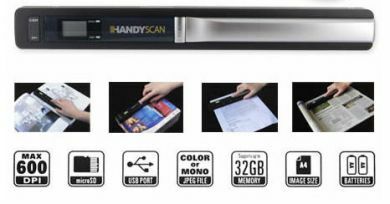 •Maximum scanning speed: ◦High resolution with colour - 13sec. ◦High resolution with monochromatic - 6 sec. ◦Standard resolution with colour - 3 sec. ◦Standard resolution with monochromatic - 2 sec. •Image resolution: ◦300 x 300dpi for standard resolution. ◦600 s 600dpi for high resolution. •Automatically powers off in 3 minutes when not in use. 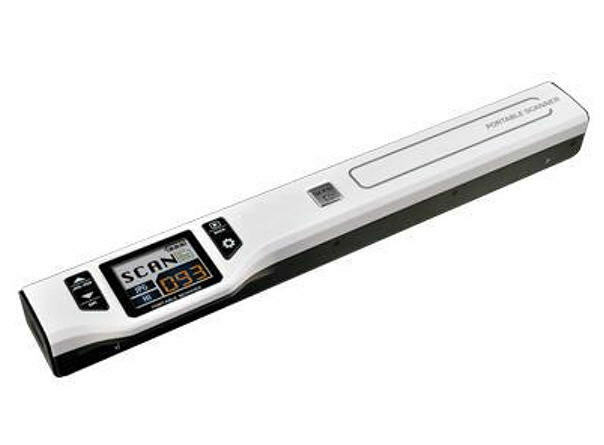 •Scanning status LCD display. •Support microSD cards up tp 30GB. •Requires 2 x 'AA' alkaline batteries. •Battery life: ◦AA Alkaline batteries last atleast 180 colour scans or 200 monochromatic scans. 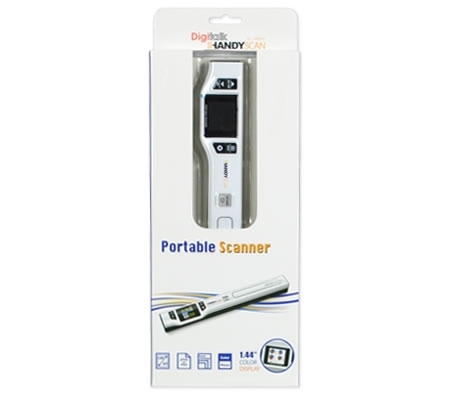 ◦2000mAH rechargeable batteries last atleast 250 colour scans or 300 monochromatic scans. 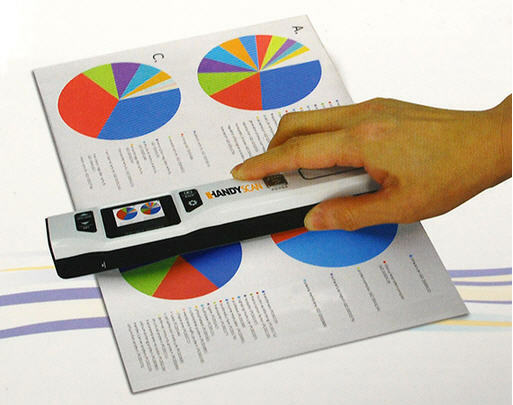 Product Information •Very Compact •Handy •Built-In "Real Time" Scanning Detector to Avoid Distortion •Powered by 2 Pc. 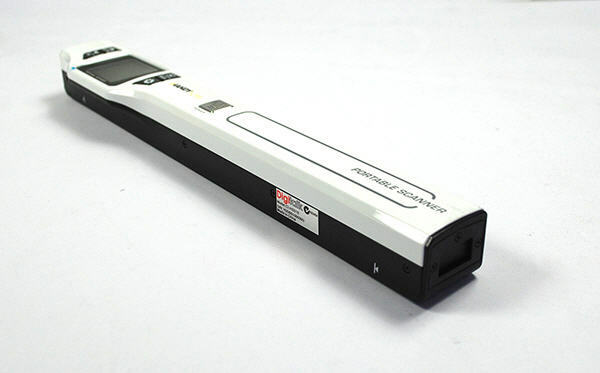 of AA Batteries Capable of Scanning Approx. 200 Pages •Very Easy & Perfect For Daily Use •WIth Built-In "Over Speed" Alert to Control Scanning Speed •Bundle with OCR Software •With Scanning Resolution Up to 600 dpi •WIth Colour / Mono Selection •Direct Save in JPEG File Format •Good to Scan Any Books and Papers with Size Up to A4 •MicroSD Support up to 32GB •USB Connectivity •Windows XP SP2, Windows Vista, Windows 7, MAC OS 10.4 or above (direct plug-in, driver installation not required).